One of our customers has a hobby farm in North Carolina. She surprised her grandson by getting a Spiderman cut out. They hung the Spiderman cut out sign on one of the silos. 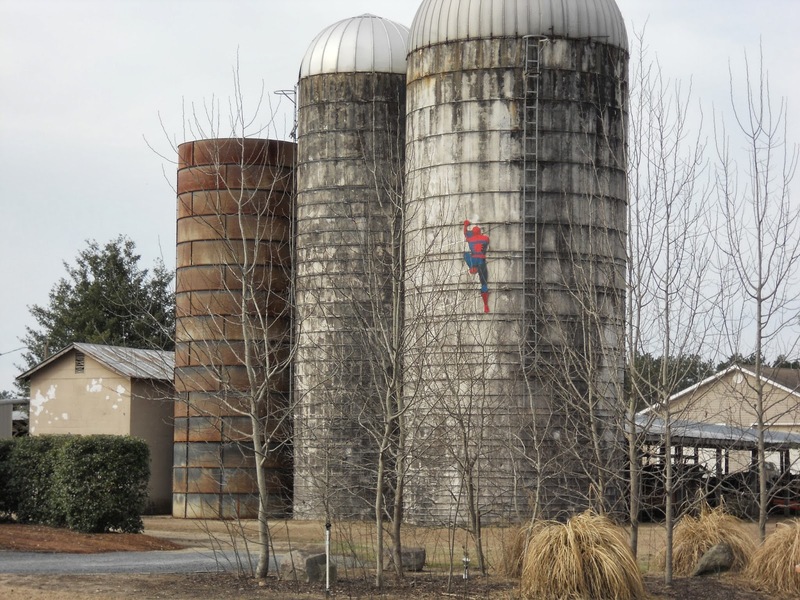 You are able to see Spiderman as you drive past the farm. The Spiderman sign was printed on a corrugated plastic material. The material is most commonly used for yard signs.